A lively local club, with live bands performing on a regular basis. Weekly bingo nights,snooker, pool, darts, meat draw, meeting rooms or discos for family functions available on request. New members always welcome. 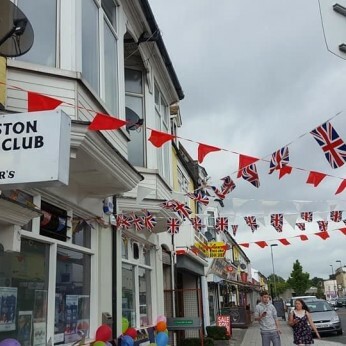 Woolston Social Club is a CIU club, which is open to members and their guests. We have bands performing on a regular basis, accommodating all ages. If playing at our venue interests you, please be aware we have a very long waiting list but will endeavour to reply to you as soon as possible. We have a 3 function rooms for hire for all occasions, contact us for more information. Woolston Social Club are real sports fans and with satellite TV we show a wide range of sports to accommodate all throughout the year. We have two pool tables, snooker tables and dart boards. For more details follow the links above to the website and Facebook page. New members must have attendance for 6 weeks or no cash jackpot pay outs !